Home > How can you measure the value of a webpage? > How is Majestic Citation Flow Different than Majestic Trust Flow? How is Majestic Citation Flow Different than Majestic Trust Flow? Majestic Citation Flow is a reference number which calculates how significant a URL might be based on the number of websites connected to It. While Majestic Trust Flow is a number which calculates how reliable a URL might be based on a back links proximity to trusted web domains. When you compare these two metrics together, you get a good sense of the quality of the page or website. A high Citation Flow with a low Trust Flow represents a lot of websites linking to a site, but without a lot of credibility. If this is the case, you should start find high-quality linking opportunities rather than more quantity. The same is true for a specific web page. 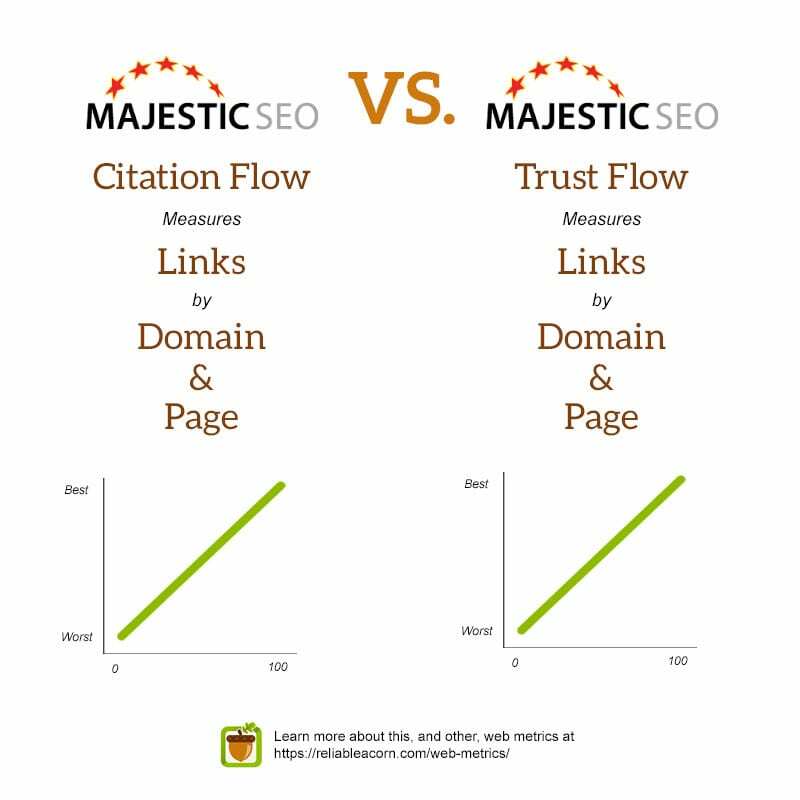 A high Trust Flow with a low Citation Flow suggests some great websites are linking to a site, but not many. If this characterizes your website (or page) then you are missing an opportunity: some good websites consider you good, too, but you are not spreading the word to other websites. Majestic compares this metrics to produce a scatter chart. From this you get a look into the overall link profile of a page or site.